LARGE SIZE - Aquariums over 250L. 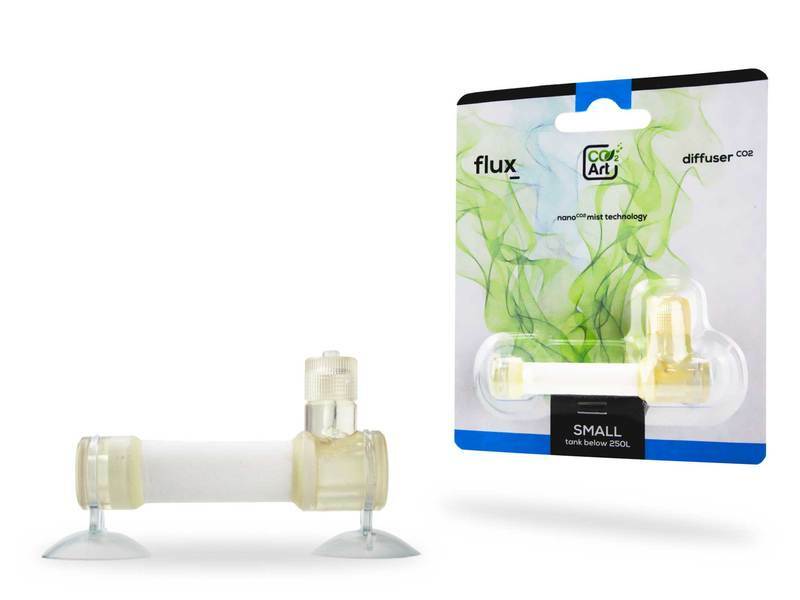 The World's finest Precision NEW Bazooka In-Tank Flux_ CO2 Diffuser for planted aquariums. Excellent CO2 dissolution rates thanks to new nano co2 mist technology membrane, easy maintenance and durable materials make this CO2 Aquarium Diffuser a perfect choice for novice and expert aquascapers alike. Designed to be used as a regular glass CO2 atomizer diffuser, but offering higher CO2 dissolution rates. A CO2 Flux_ Aquarium Diffuser optimizes the CO2 entering the aquarium for efficient plant absorption and less waste. As CO2 bubbles pass through the porous diffuser, they are diffused into streams of tiny bubbles. With increased surface area, the tiny CO2 bubbles are readily dissolved into the water, increasing the saturation of CO2 in the aquarium ecosystem. To use this CO2 atomizer diffuser, simply connect your CO2 bottle regulator to the atomizer with our CO2 Tubing, and tighten the safety nut. It is recommended that you set the pressure on your regulator to a minimum 2 bar as a starting point. Please allow a few minutes for sufficient pressure to build up to allow the CO2 to begin passing through; it may not begin instantly.